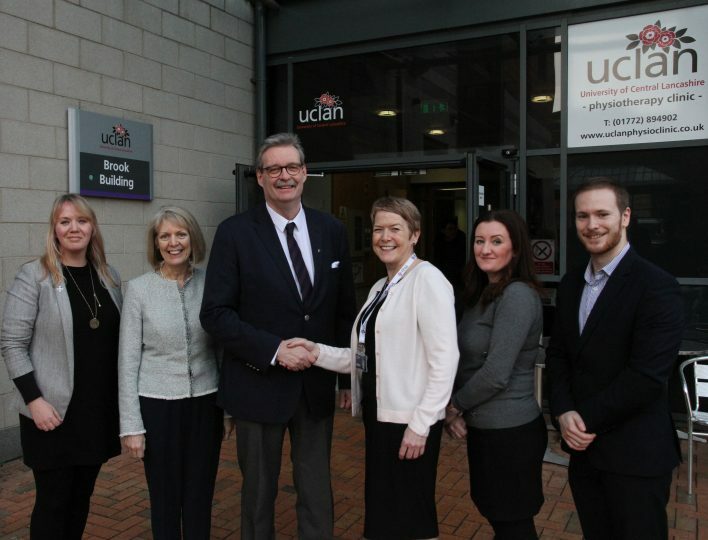 The Northern Health Science Alliance (NHSA) has further expanded its membership with the University of Central Lancashire (UCLan) joining the health partnership. UCLan joins other leading North universities in the alliance as an associate member, alongside research-intensive NHS trusts and the region’s four Academic Health Science Networks. 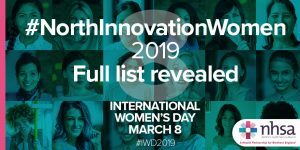 Health research is a key priority for UCLan, and its academic innovators are producing high-quality research across a range of disciplines including health and wellbeing and clinical and biomedical sciences. 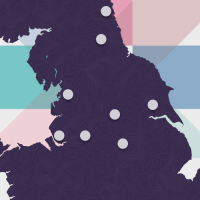 As an NHSA member, the university will join the growing network of organisations that are leading the way in health innovation across the North. They will benefit from a wide range of collaboration opportunities through the NHSA’s joint research partnerships, advocacy, business development and international and national programmes. Nicola Wilson, Deputy Chief Executive of the NHSA, said: “We’re thrilled to welcome the University of Central Lancashire to the NHSA as we grow and strengthen the North’s collective life sciences voice. “UCLan is delivering some really exciting research programmes including the important health and wellbeing research coming from the Lancashire Research Institute for Global Health and Wellbeing. Since its inception six years ago, the NHSA has worked in collaboration with its members to promote the North’s thriving life science sector, both nationally and internationally, to increase awareness of and drive investment into the Northern Powerhouse. During this time, the NHSA has brought over £60m worth of contracts to the North of England. It has also been named as a delivery partner in the Government’s Life Sciences Industrial Strategy Sector deal and revealed over £1bn of investment in the region’s life sciences. NHSA and University of Central Lancashire sign joint agreement. (L-R) Hannah Davies, Head of External and Public Affairs at NHSA; Dr Lynne Livesey, Joint Institutional Lead / Deputy Vice-Chancellor (Academic) at UCLan; Professor StJohn Crean, Pro Vice-Chancellor (Clinical, Health and Research) at UCLan; Nicola Wilson, Deputy CEO at NHSA; Shirley Hannan, NHSA Research Coordinator and Funding Development Manager; and Ben Martyn, Business Development Officer and Analyst and NHSA. For more interviews, comment etc. contact Hannah.Davies@theNHSA.co.uk, 07342882383. The NHSA ltd is a partnership established by the leading Universities and NHS Hospital Trusts in the North of England to improve the health and wealth of the region by creating an internationally recognised life science and healthcare system. It links eight universities and eight research-intensive NHS Teaching Trusts with four Academic Health Science Networks (AHSNs covering a population of over 15 million. The NHSA’s members include: Newcastle University, Durham University, University of York, University of Liverpool, University of Manchester, Lancaster University, University of Sheffield, Sheffield Hallam University, University of Leeds, The Newcastle Upon Tyne Hospitals NHS Trust, South Tees Hospitals NHS Trust, Leeds Teaching Hospitals, Sheffield Teaching Hospitals, Rotherham, Doncaster and South Humber NHS Foundation Trust, Manchester University NHS Foundation Trust, The Royal Liverpool and Broadgreen University Hospitals, Hull and East Yorkshire Hospitals, Lancashire Teaching Hospitals, Innovation Agency AHSN, Yorkshire and Humber AHSN, North East North Cumbria AHSN, Greater Manchester AHSN. The University of Central Lancashire (UCLan) in Preston was founded in 1828 as the Institution for the Diffusion of Knowledge. Since those early days it has grown into one of the UK’s largest universities with a staff and student community approaching 38,000 and an employment-focused course portfolio containing over 350 undergraduate programmes and nearly 250 postgraduate courses. The University has an established research reputation with world-leading or internationally excellent work taking place within the areas of Business, Health, Humanities and Science. As a truly global institution with an established campus in Cyprus, UCLan’s student body includes 120 nationalities and its partnership network extends to 125 countries. In 2013 the Quacquarelli Symonds World University Rankings awarded UCLan the full five stars for its global outlook in all aspects of international educational provision. In 2017 the Centre for World University Rankings placed UCLan in the top 3.7 percent of all worldwide universities. The University has a strong focus on continually improving the student experience and recently unveiled a 10-year, £200 million plan to redevelop its Preston Campus to create an attractive and inviting, world-class campus helping to create jobs, kick-start regeneration and attract inward investment into the City.